Last week, we wrote about allegations coming from several citizenship consultancies claiming a Sharjah-based company named Montreal Management Consultants Est. 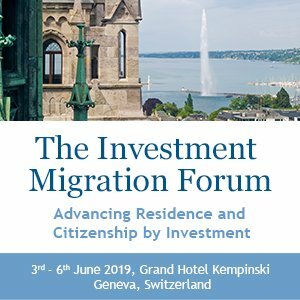 (MMCE) had obtained exclusive wholesale discounts from Dominica, allowing it to offer citizenship-by-investment packages under the Dominica CIP’s contribution option at rates considerably lower than the rest of the market and, indeed, below the program’s stated minimum price. These claims, explains the company’s CEO, Anthony Haiden to Investment Migration Insider, are false. MMCE has been actively involved in the construction of social housing in Dominica since 2016, when the company signed a contract with the government of Dominica to build housing intended to resettle those displaced by Tropical Storm Erika in the Petite Savanne area. At the time, the company’s CEO, Anthony Haiden, stated that MMCE was concerned for the wellbeing of Dominicans and wished to “give back” to a country in which it operates. His company, he explained, would finance the construction up-front and would recover the funds through passport sales. “We approached the government of Dominica to offer our help and support after the storm last August and have worked hard to accelerate the recovery and rebuilding of damaged communities,” Haiden told Dominica News Online in 2016. The project is slated for completion next year and will consist of 91 residential units. Some 400 workers, many of them locals, are employed in the construction. MMCE’s project manager in Dominica, Christopher Timmins, announced in December that the social housing projects would be expanded to Roseau and Portsmouth as well. We contacted Anthony Haiden, CEO of MMCE, to get his side of the story. He categorically denies claims of any special discounts and explains that the nature of his agreement with Dominica’s government is actually very straightforward. Under the agreement, Haiden explains, the company assumes all costs and responsibilities related to the construction of social housing projects and then proceeds to market the contribution option of CIP on the same terms as everyone else. The contribution funds MMCE raises are then transferred to an escrow account. Funds are distributed from this escrow account partly to the State of Dominica, partly to the housing development. 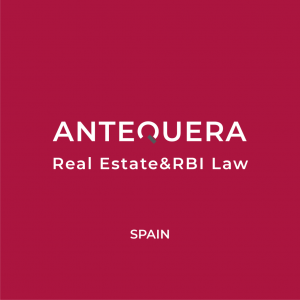 “Distribution of funds are regulated by the agreement stipulating the share of the state and the share for the projects. Distribution is provisioned by progress of construction via technical reports overseen by the Ministry of housing,” writes Haiden. The question is, then; what proportion of the contribution funds are distributed from the escrow account to the developer (MMCE), and what proportion to the state? MMCE’s net revenue on the project would depend on the difference between their cost of construction and disbursements from the escrow account. Haiden explains that he is contractually unable to disclose the particulars, but that he can confirm the distributions exceed MMCE’s cost of construction. 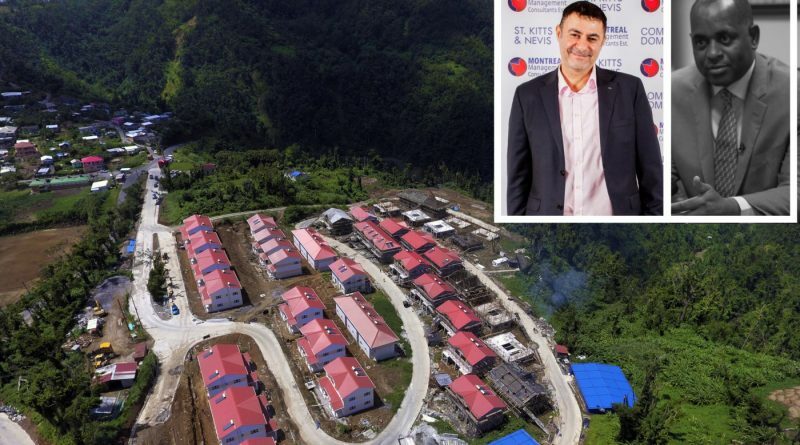 A more recent story about the company’s charitable involvement in Dominica has raised eyebrows due to the name of the charitable foundation with which MMCE was cooperating. 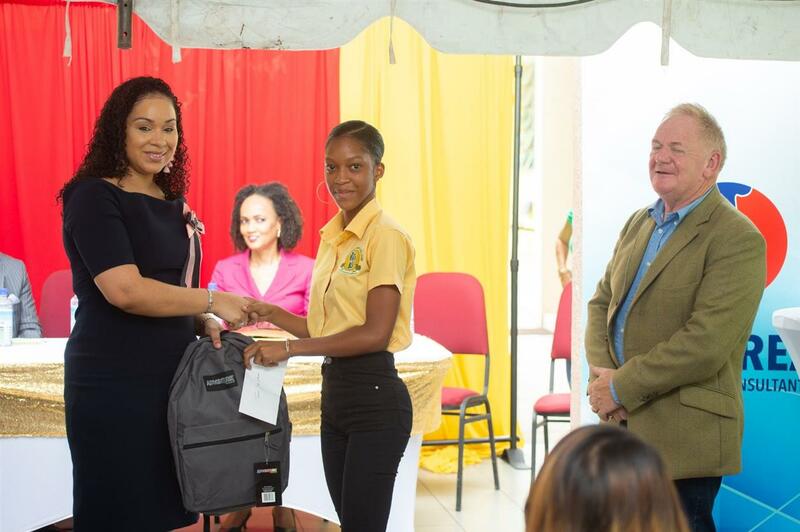 Dominica News Online last week reported that 25 students at the Dominica State College had received scholarships with a combined value of US$50,000. 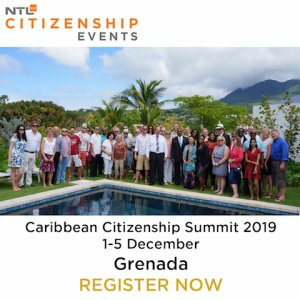 The scholarships, said the article, came from the Melissa Skerrit Foundation, Prime Minister Roosevelt Skerrit’s wife, and were provided “in collaboration with citizenship by investment (CBI) specialist and developer Montreal Management Consultants Est (MMCE)”. A private company’s financing of charitable ventures managed by the personal foundation of the Prime Minister’s wife quite naturally caught our attention. Questioned as to the nature of MMCE’s support for the Melissa Skerrit Foundation, Haiden indicated it was a matter of CSR. “I understand how it may look to those unaware of the nature of the arrangement, but I can assure you that all charitable funds we contribute in Dominica go directly to the beneficiaries and not via any government entities,” notes Haiden. “In the case of our work with the Melissa Skerrit Foundation, the money never went through the foundation as such but, rather, straight to the final recipients,” he adds. “As an active service provider and developer, we strongly believe in our corporate responsibility towards the general public in the country where we mainly operate. At the same time, MMCE has no interest in promoting its self politically or socially in Dominica. Hence, we sought to collaborate with an existing charity organization to facilitate our contribution to the general public, namely the Melissa Skerrit Foundation”, says Haiden, who explains the foundation was the only charity they could find that was involved in a wide array of projects rather than a specific cause. From the looks of it, there’s nothing untoward going on here. 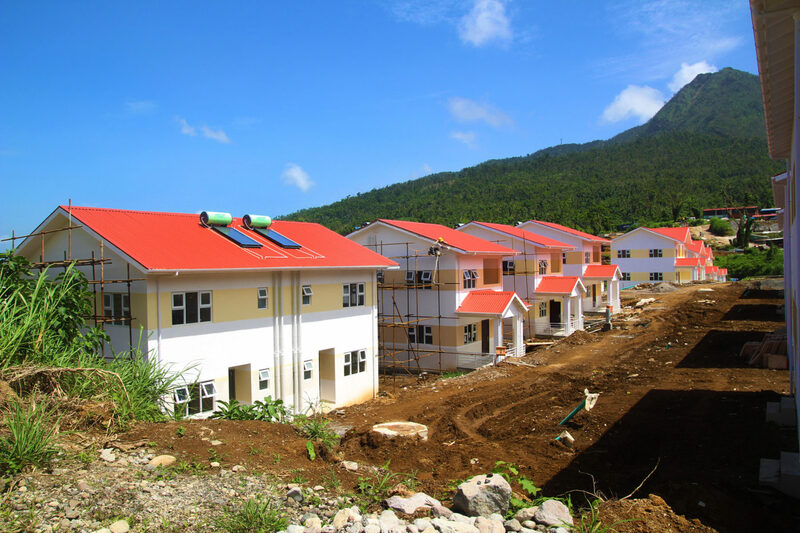 Dominica gets housing quickly and at no cost to its citizens; MMCE assumes the risk and, in exchange, gets a chance to gain from their willingness to take that risk by building in a cost-effective manner. One could argue that an agreement in which MMCE front-finances the housing and recovers the investment through disbursements from CIP-applicant contributions (that MMCE itself sourced) was necessary for the timely completion of sorely needed shelter for those left homeless after Erika. That’s not necessarily an unfair deal for anyone. CBI-revenue benefiting the local population, particularly those disadvantaged through no fault of their own (such as hurricane victims), is unequivocally positive, of course. After all, that is what citizenship by investment is supposed to do. What is unfair is for Dominica to not offer the same deal to others. If this model works, why not replicate and expand it? 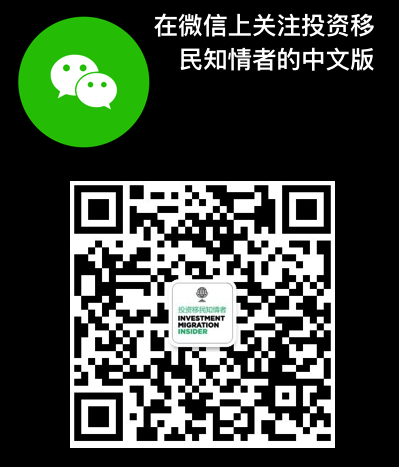 Why not let large investment migration companies or developers front-finance more projects, maybe by investing in infrastructure, education, or disaster prevention? It would certainly be a good deal for Dominica; it would receive risk-free investment today based on someone else’s hypothetical future earnings.